The online renewal for your 2018-2019 membership is now faster and easier than ever, and went into effect on July 1, 2011. Members may immediately receive a printed card that can be later turned in to their Post Membership Chairperson. Within seconds after you place your online order you receive a card similar to the regular one you carry throughout the year. This card has your membership number, Post, and years of consecutive membership already printed. You may exchange the card for the regular printed membership card at any time when you come into your Post, or it can be mailed. Become an "Early Bird" as I did, and help your Post obtain their 100% by November 1st. It works great for anyone when you renew online for your own membership. If members would like to make a comment about the process, please drop me an email, and we'll post your remarks and opinions on the process. their families, youth and our nation. * Online renewals are for American Legion members only. This does not include Sons. 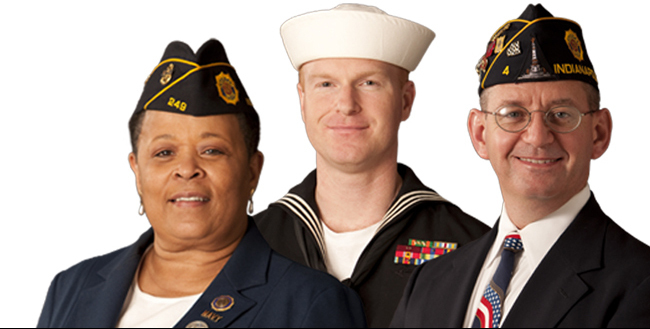 Auxiliary members can renew online at http://www.ALAforVeterans.org – Members Only tab. Your annual dues help support programs in your community and across the nation. American Legion programs and services include: Troop Support, Child Welfare Foundation, Heroes to Hometowns, American Legion Baseball, Department Service Officers, Family Support Network, Flag Advocacy & Etiquette, Junior ROTC & ROTC, Operation Comfort Warriors, Scholarships, Veterans Job Fairs, and many others. Thank you for ensuring that The American Legion remains the most powerful voice in America on behalf of veterans, servicemembers, their families, and communities across the nation. Click the informational videos below to learn how the new online renewal process works for members, Department Officers/Staff and Post Officers. Review each in the order they are presented. Make sure the audio on your computer is turned on.